Note: I planned a pearl earring draw this week, but have not yet received them from the vendor. That post will be up when they arrive. Black Friday, Cyber Monday and other pre-holiday sales have unleashed a torrent of pearl promotions, and a number of (always-welcome) e-mails from readers eyeing these. My suggestions might interest you, too. Note: Pieces shown today may have recently sold; prices are in US dollars. I advise everyone to go through three steps. 1. Know your (or the recipient's) "pearlsonality". From ladyperson Ardith (white near-rounds) to surfer-chick Suzanna (single Tahitian on a leather cord), getting the vibe right precedes everything else. If they're not the wearer's style, they will languish in a drawer, weeping little lonely-pearl tears. The biggest mistake: Buying too-formal pearls. 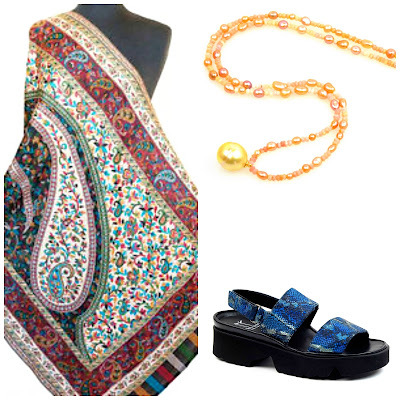 Think of your smart-casual clothes, like a sweater and trousers, and if the pearls can't be worn with that, keep looking. 2. Set your budget by the maximum price or a range. The corollary: Get good value from that budget, even the double-digit one. You will generally do better with pearl-specialist vendors than those who carry a wide range of jewellery, and of course if you want a prestige label you'll pay a premium. 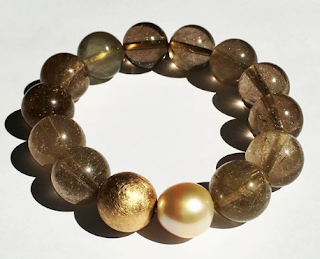 One woman wrote to ask what I thought of Gump's (gorgeous pearls, high prices but watch for sales and markdowns); regular readers know I lean toward other vendors unless price is no object. A man who did not ask my opinion went to Tiffany's Fifth Avenue store, bought his sweetheart a conservative, expensive necklace (too small for her if you ask me), then sat back to reap his praise. From her reaction, I could tell that she too found them small; she's from Hong Kong and knows her pearls. His budget drove the size, and he had to have that blue box, so the gift ended up less than satisfying. The craft and art shows that spring up like poinsettias around the holiday season provide choice, but not necessarily good value. Often they are staffed by persons who know very little about pearls; if one more friendly vendor tells me her pearls are "natural", I will whack her behind with a cedar bough. 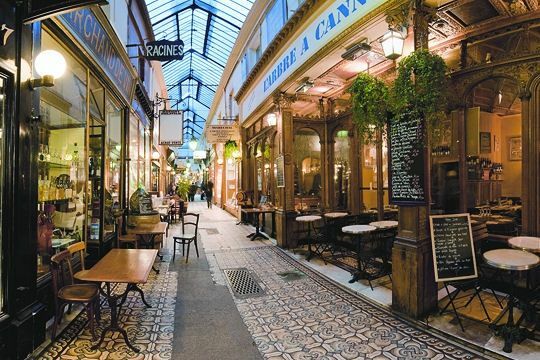 Such shows are the place to buy, for example, attractive handmade pearl and silver earrings, but not a strand of fine pearls, unless an exceptional jeweller like Québec City's Celine Bouré of Kokass is in the house. 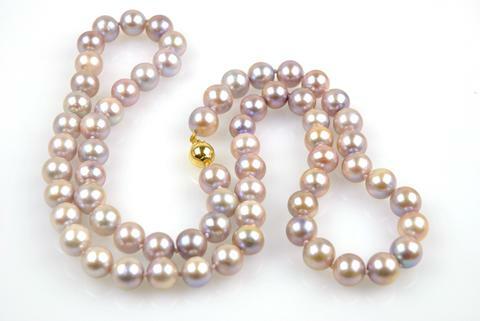 It's useful to know a little about pearls; for example, a black pearl that's anything other than Tahitian will be dyed; a 'chocolate' pearl is always dyed or bleached (natural-colour chocolates are rare as hen's teeth); and if you prefer rounds, graduated strands cost less than matched size. Saltwater pearls cost more than freshwater, but a top grade Chinese freshwater can outglow a dull Tahitian, so don't buy based solely on origin. Pearl grading is not standardized, so "AAA grade" is the seller's opinion. Pearl specialists are very willing to talk to you about the quality between their AA and AAA grades, and want you to be happy. So you would think, that's it: figure out the pearl type and then get the best quality for your budget. Not so fast, sister. 3. Open to the magic; buy from the heart as well as the piggybank. Remember that hat you bought on a trip to London, the one that gives you Greta Garbo cheekbones? Or that grey-green-what-colour-is-it sweater you found in a secondhand store that is nothing like anything you own, but perfect? Pearls are organic and mysterious, open to their charisma. - "To hell with the budget!" One woman, buying for herself, moved up several hundred dollars when she found a luscious necklace that murmured "mine". I have at times advised someone to either wait and save till the budget matches their vision—or spend the entire budget on one or two stunning pearls. 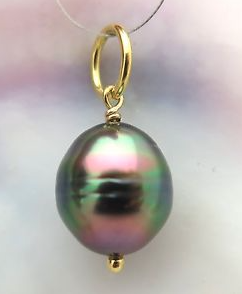 Roxanne, shopping for her sister's retirement gift, realized her $100 budget would not cover a fine pair of earrings, but would accommodate a single jaw-dropper, like this Rikitea Island black pearl pendant, about $55 from DruzyDesign. 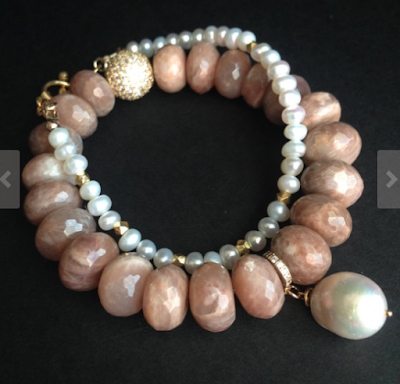 (This is Carolyn Ehret's eBay store, a haven for pearl lovers.) Sister already has the gold chain, so a spectacular pearl pendant gives new life to her collection. Open your eyes to the entire world of pearls. A man who thought pearls were always round and white found a lavender strand to enchant his brunette partner. (He told me, "I never knew pearls like this existed.") Shown, 30-inch 11.5mm oval to near-round lavender pearl necklace, Regular price, $1, 080 at Kojima Company, but that sale knocks a good chunk off. And finally, consider fresh, current styles. While I'd never turn down a string of Mikimoto's finest, I also love funky, casual pearls done with a light-hearted hand. Ginette asked for something "casual, current and under $75". I spent a couple of hours trolling Etsy, determined to find a few choices. With small businesses, you may not have the full-refund 30-day option, so check their policy before ordering. 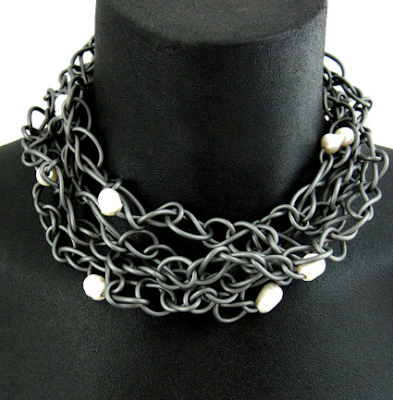 Hip rubber necklace with scattered freshwater pearls to wrap or wear long, from FrankIdeas, about $70 (plus shipping and applicable tax or duties); this comes in several colours. She could also wear it wrapped around the wrist. IMaccessory also make other versions of this piece, and accept custom orders. If you're buying a gift, order soon so you can return or exchange if necessary. It's worth the hunt; you'll have so much pleasure from that pearl. I love seeing the images of these amazing options...you have shared such pretty pieces. Its sad that my single strand of 6mm pearls lies in the velvet box in my drawer, a gift from my husband many years ago..and the single baroque pendant a 60th birthday gift from my children gets a lot more wear. Your thoughts on pearl styles are in sync with mine. 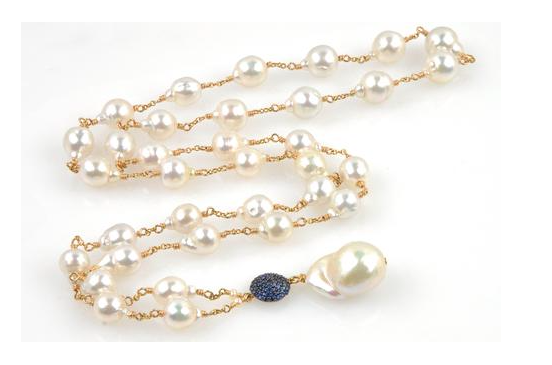 hostess: An unworn 6mm strand has many fixes; you might want to revisit my "rehab your pearls" posts because I am willing to bet he bought you beautiful pearls back then. They just need restyling. Even if I never buy a single pearl, reading your posts about them is always a pleasure. You make them come alive in such a warm and sympathetic way...and the beauties you show are just wonderful. I love the rubber necklace. So original and interesting. I wholeheartedly agree with your recommendation of Kojima. I purchased a sunset colored strand, quite large, but there is a funkier, more casual strand there that I am trying to justify. Your posts always sway. I will let you know if I succumb. The rubber necklace is such and interesting piece. Your pearl posts always reveal something new. I am a girl rasied in the south who loves me pearls. THANK YOU for recommending DruzyDesign. Just received my stunning pendant, similar to the one you posted. What a bargain. Can't wait to wear it. And she lives a mile from me in Tucson! Unknown: I would be a dead-a**broke woman if I lived a mile from her... enjoy and I sure would love to see that!